Carbon monoxide deaths and disability are always avoidable, especially those from portable electric generators, which the U.S. Consumer Products Safety Commission has been trying to make safe for a generation. Cars have eliminated 99% of the carbon monoxide emissions. Generators zero. 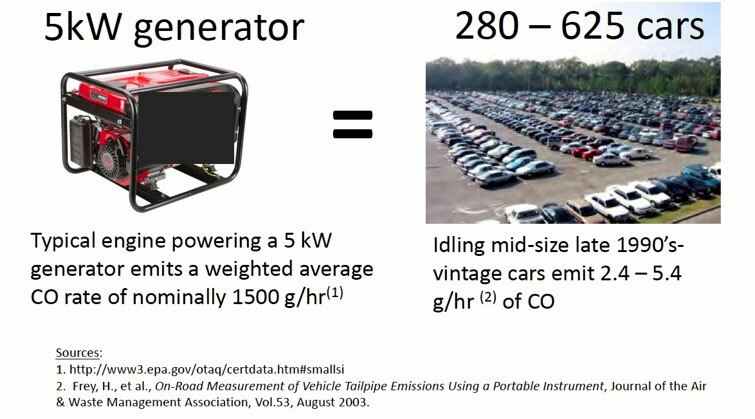 A small generator emits more carbon monoxide that a parking lot full of cars. The generator manufacturers must be forced to make these machines safe and they admit that they know how to do so. Only the Courts can save people from these deadly machines.